Once at the center of the American conservative movement, bestselling author and radio host Charles J. Sykes is a fierce opponent of Donald Trump and the right-wing media that enabled his rise. *Why are so many voters so credulous and immune to factual information reported by responsible media? *Why do conservatives decide to overlook, even embrace, so many of Trump’s outrages, gaffes, conspiracy theories, falsehoods, and smears? *Can conservatives govern? Or are they content merely to rage? 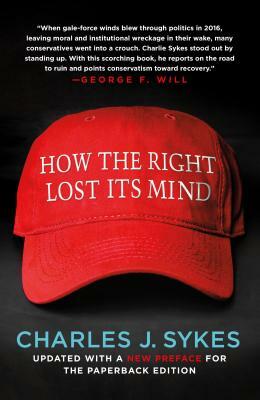 *How can the right recover its traditional values and persuade a new generation of their worth? Charles J. Sykes is the author of several books on current affairs and education, including Fail U., A Nation of Victims, and Profscam. He has written pieces for the Wall Street Journal and Time.com among others, and in 2016 was featured for his critiques of Donald Trump and conservative media in articles on the front page of The New York Times, The New York Times Magazine, and NPR. A longtime host of the #1 conservative talk-radio show in Wisconsin, he resigned that position and is now a regular contributor to MSNBC.